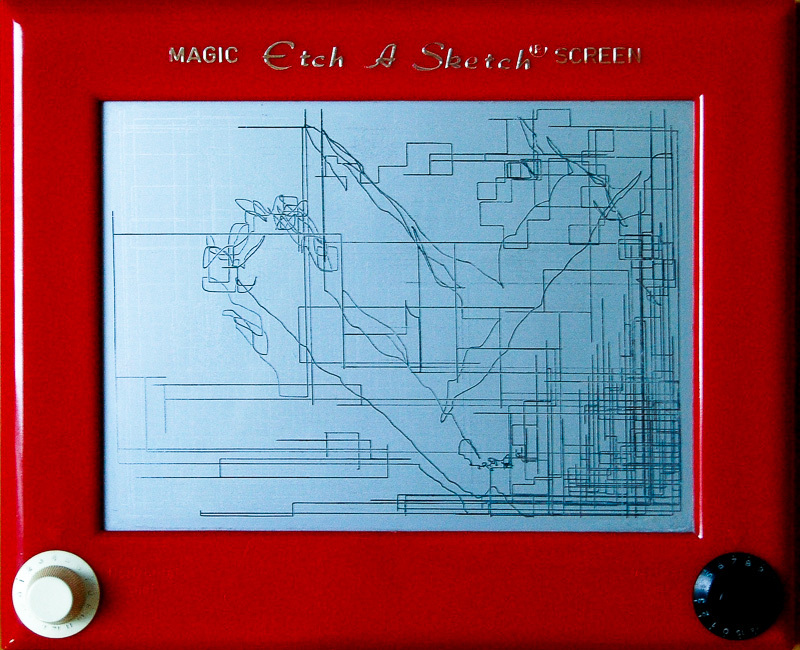 ​I draw this picture on this etch-a-sketch toy and sent it to the Open College of the Arts as part of my drawing module assessment. I knew that the motion during transit would wholly or partly erase the image, but I supplied this photograph for reference. I also provided photographs showing faint traces of previous drawings that were made before I owned this.